Rajinikanth – THE GOD WHO SPEAKS TAMIL- MIND IT! Rajinikanth - THE GOD WHO SPEAKS TAMIL- MIND IT! next birthday (12-12-12) officially declared as the World Style Day. movie due for release, elevating him to an almost celestial status. lies ahead for him in the coming years. 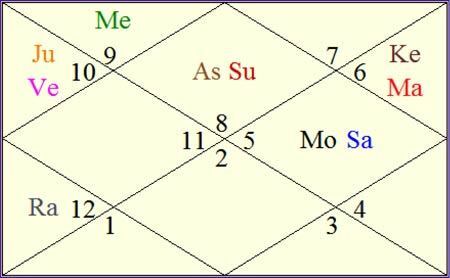 Jupiter and Ketu will be conjunct in the 7th House from Sun post May 2012. Sun and also because of Mars' transit over Natal Saturn and Moon. cards during the year ahead. an award during the year ahead, feels Ganesha. time, if he finances a project, there may not be any issue. wishes a great year ahead to superstar Rajinikanth.